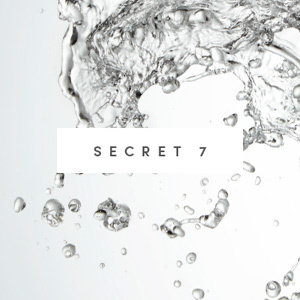 Today I begin my new series of my Secret Seven, and I decided to start off with my 7 top cleansers. I met Eve Lom in the 90s, after waiting months to get an appointment. She was always an enigma in the beauty world with an unusual heritage. She was brought up by a "witch doctor" grandmother in the former Czechoslovakia, and as a child she was often sent out to collect herbs and plants to be used in curing her grandmother's patients. Later she married Herbert Lom (Pink Panther inspector) and moved to LA where she first began practicing as a beautician. 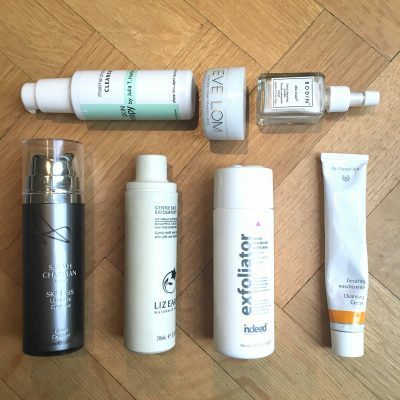 Eve Lom was the first to do a non cream cleanser, which has a wonderful consistency. Such a great concept to have something that melts like butter. I remember when I met her she taught me how to do a lymphatic massage by applying pressure circularly on the face and neck to decongest my system. She always recommends finishing her routine with a hot muslin cloth (which comes with the product). Although the consistency might feel very rich, it is in fact exceptionally good for oily complexions as the eucalyptus oil opens up the pores with its balsamic effect, whilst the antibacterial properties of the clove clean them out. Use the muslin cloth as your exfoliator. The cleanser also contains Egyptian Chamomile Oil that softens and soothes, and Cocoa Butter. As I'm sure you all know by now this is a range I have used on and off for 25 years, and to me it remains the best plant based range on the market. It was started a long time ago in Germany, when Rudolf Hauschka founded WALA where he pioneered a procedure for producing natural medicines without using alcohol as a preservative. When he met Vienna based Elisabeth Sigmund in 1969, they started developing the cosmetic and skincare range... and they haven't changed their ingredients since. The cleanser contains Calendula, an anti- inflammatory plant with wound healing properties, Chamomile, an antibacterial with soothing and calming properties, St. John’s wort, full of flavonoids that protect and soothe, anthills and sweet almond. 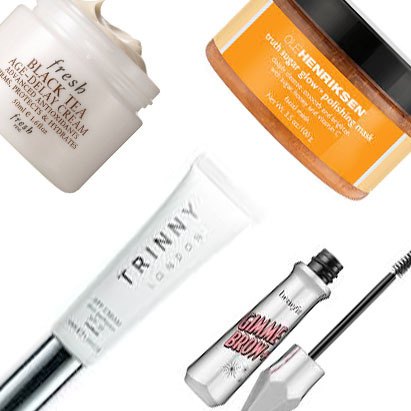 Sarah Chapman does not come from a classic beauticians background, she used to be the assistant of a plastic surgeon, and then worked at a beauty counter; so she is really aware of skin's issues, what's selling and what the gaps in the market are. 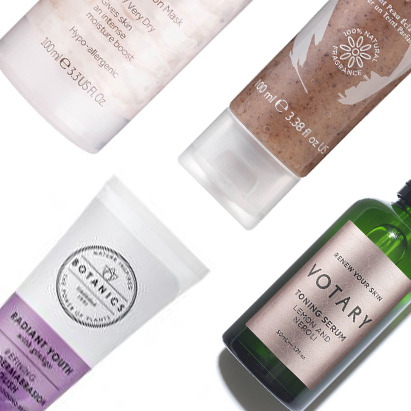 With this knowledge she decided to create her own range to sit between medical and organic brands. The consistency is more liquid than Eve Lom, and a little less rich. For some it might be easier to apply as you don't need to rub it in your hands before application. It contains Vitamin A, a powerful antioxidant, collagen for hydration, and peptides, and with daily use can counteract the appearance of wrinkles. Liz Earle is a British beauty brand founded in 1995 on the Isle of Wight by two close friends who deeply trusted the power of botanicals. The face exfoliator is mild yet effective and good for skin that shows a bit of scarring as the jojoba beads gently work away at the skin texture whilst the eucalyptus lifts dirt and impurities. As I personally have an area of scarring around my chin, I have no hesitation to vigorously exfoliate around this area. Julia Hunter is one of my most recent discoveries, I have been using her range for around one year now. She believes in peeling and exfoliation to resurface the skin, which results in a vastly improved skin texture. (more info on her philosophy in this old post). I use Julia Hunter's evening routine religiously, and feel it is the first range to have a long-term impact on my skin texture. This product deeply cleanses and I would say it is safe to use for any skin type, from the most sensitive to the oily and acne-prone. This comes in a powder and as you put it on with a tiny bit of water it rubs in like a paste and foams up. It gently exfoliates with the finely milled bamboo extract, which is also a natural antibacterial. It also contains bromelain, which is a mixture of enzymes found naturally in the juice and stems of pineapples, hence delivering a resurfacing peel (you will feel it tingles when you apply and I might leave it for a while, or work at it with my Foreo). It's very effective in gently removing dead cells by chemical exfoliation, on the surface of the skin, as it destroys the keratin of dead cells and debris. Linda Rodin is a very elegant lady, stylist to the stars in the New York of the Seventies, where she opened her own boutique in 1979, one of the first concept stores in New York's Soho. After experimenting with essential oils in her bathroom for nearly two years, Rodin launched her first dream elixir, the original RODIN olio lusso face oil, in 2007 (the name is the Italian translation of luxury oil — in honour of the easygoing Italian beauty). She is now expanding to all other skincare areas: body oil, hair oil, lip balm, etc. Similarly to the Indeed, with clean hands, pour a small amount of powder into damp palms. Add a little water for deeper exfoliating, more water for a richer lather. Build the foam in your hands, then massage over face. Rinse clean with water then lightly towel dry face. Apply 2-3 drops of olio lusso Face Oil to still damp face. The Facial Cleansing Powder combines granular rice bran with moisturising sea algae, jasmine and neroli essential oils. It is the ideal skin prep for those using facial oils. I finished with my favourite Jurlique facial oil.